There is currently a need to increase the efficiency of the plastics sector in the Valencian region, both from the environmental and the economic point of view. In this sense, the circular economy is an opportunity as a new paradigm, where waste is a resource, and efficiency is the key point. But for the transformation of waste into resources to be a fact and not something intangible, research is necessary. For that purpose, AIMPLAS is carrying out the ECONOMÍA CIRCULAR Project, supported by the Valencian institute of business competitiveness (IVACE), which has already established the needs of the plastics sector in the Valencian region and defined the strategies that companies should follow in 2017, its first year. 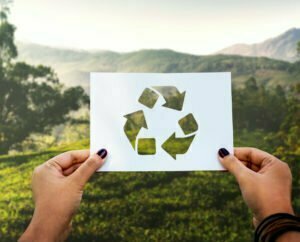 The possibilities of improving the properties and quality of recycled plastic, new applications, recoveries complementary to mechanical recycling and the biodegradation of plastics were investigated. In addition, environmental control protocols were developed, and the results were transferred to companies in the sector and end users. In its second year, ECONOMÍA CIRCULAR 2, recently approved by IVACE with a 197,809.39 euros grant and co-funded by EU ERDF funds within the ERDF Operational Programme of the Valencian Community 2014-2020, will mainly address issues related to eco-design and environmental control, waste recovery and sustainable materials. Specifically, two main actions of application will be carried out in the processing and recycling industry: the separation of multilayer plastic waste layers for recycling and the analysis of biodegradation of plastic materials: the rate of biodegradation, intermediate compounds and ecotoxicity. The results of the research will be scaled up and validated in the collaborating companies and will subsequently be disseminated and transferred to the companies in the Valencian region’s plastic sector for free and in an open way, which will increase the competitiveness of the sector, giving rise to an economic, social and environmental growth. Two research groups are collaborating In ECONOMÍA CIRCULAR 2 to complement the research developed in AIMPLAS, ECOTOX research team of the Universidad de Vigo and the Functionalization, Degradation and Recycling of Polymer Materials (DREMAP) group of the Universitat Politècnica de València (UPV). This collaboration highlights the importance of the connection between companies, technology centres and universities to facilitate the transfer of results.